Danny Young’s lawyers, Creative Legal, have filed a lawsuit against Tiwa Savage and Mavins Records for damages in the sum of N200,000, 000. 00 (Two Hundred Million Naira) for copyright infringement. 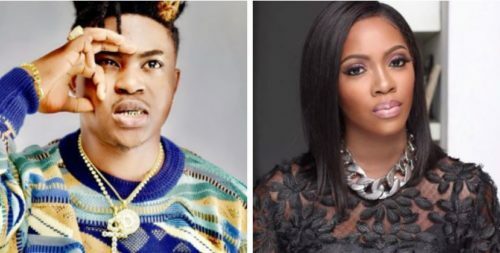 Danny Young is seeking remedy against Tiwa Savage and Mavins Records for unlawfully copying his 2009 release, Oju Tiwon, in Tiwa’s 2018 release, One. Explaining why the case had to be instituted, Justin Ige, Principal Attorney at Creative Legal, answered, “Piracy is bad enough, but it is perhaps worse when creative people appear to completely disrespect the intellectual property rights of fellow creatives. Such conduct should not be without due consequences”. He further explained that Danny Young wants to make this a case study for people in the creative industry to recognize their rights even in its simplest form. A lay man may not understand what we are fighting for as it is more technical than just the lyrics. .
Nigeria is a place where writers do not get credits from the artiste they wrote songs for because the artiste wants to get all the glory alone. Producers also do not know that they have a right to royalties even after being paid for the beat. If I contribute one word to your composition, I automatically have a right to credits as one of the writers. This is a world standard and anything less is unacceptable especially when coming from an artiste that has international exposure. The lawsuit (Suit No: FHC/L/CS/230/2019) was filed at the Federal High Court, Lagos, on the 13th day of February, 2019.